From economic revival to managing the insurgency, here's a progress report of the province's coalition. In 2018, Balochistan witnessed political earthquakes on at least three different fronts. All these tumultuous changes emanated from different sources and targeted specific goals. All these political rebellions in near-unison identified a common enemy: Islamabad. The first upheaval came months before the general elections of July 2018 when several members of the Pakistan Muslim League-Quaid and former allies of ex-prime minister, Nawaz Sharif, decided to close Balochistan’s doors to the Pakistan Muslim League-Nawaz (PML-N) and the Pakistan People’s Party (PPP). Weary of what they described as Balochistan’s endless exploitation by the two mainstream national parties and persistent manipulation of the province’s natural resources and political vulnerabilities, this group of traditionally pro-establishment politicians formed the Balochistan Awami Party (BAP). All national and regional parties viewed the BAP as the establishment’s outpost in Quetta. On the contrary, the BAP, which unsurprisingly won the highest number of seats in the provincial assembly, pledged that, going forward, all decisions on Balochistan would be made in Quetta instead of Islamabad. That promise was soon broken when the decision on who would become Balochistan’s next chief minister was actually made in Bani Gala, as the Pakistan Tehreek-i-Insaf (PTI) announced its support for Jam Kamal, previously Prime Minister Shahid Khaqan Abbasi’s Minister of State for Petroleum. 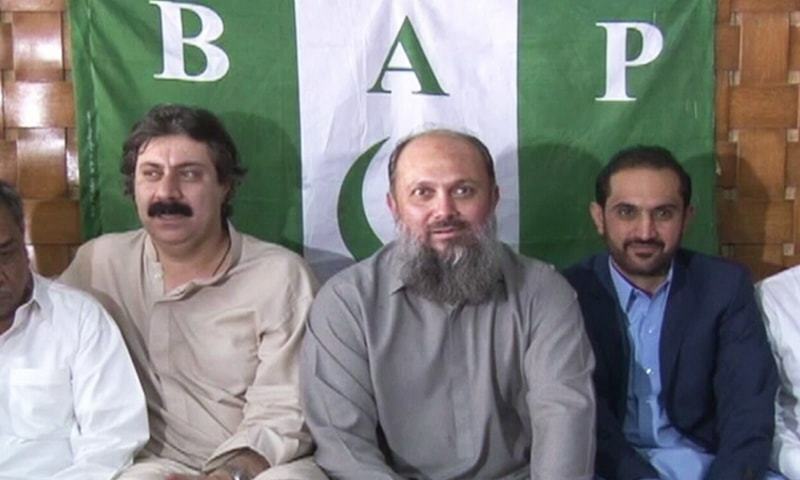 Consequently, the BAP, only months after its formation, was ready to become Balochistan’s next ruling party. 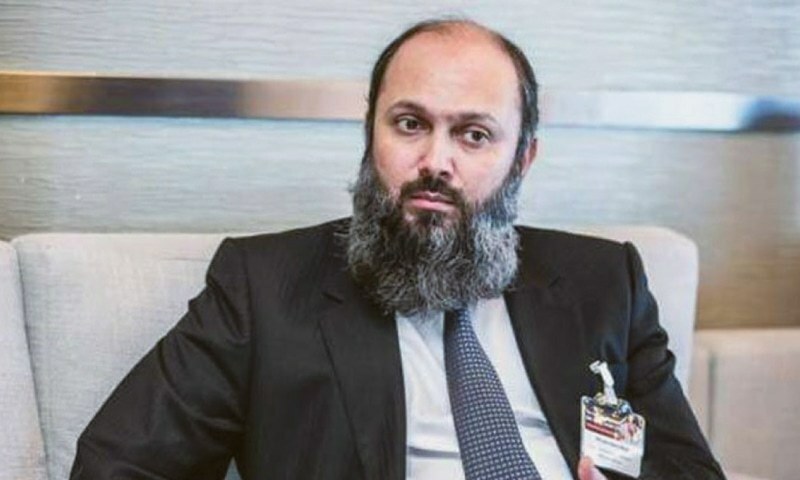 Balochistan Chief Minister Jam Kamal Khan Alyani. The second rebellion came from the Balochistan National Party (BNP), a Baloch nationalist party that ditched its historical and ideological Baloch and Pashtun nationalist allies and entered into several electoral alliances with the right-wing Jamiat Ulema-i-Islam. To its critics, the BNP said that it had a strategy and a game plan for the next five years to find a solution to Balochistan’s problems by assisting the new government as needed. The initial hope was that the BNP would move quickly to form a coalition government in the province. Too excited about their victories and desperate to join the new government, members-elect from the Awami National Party, the Hazara Democratic Party and the Balochistan National Party-Awami, all erstwhile allies of the BNP, jumped on the BAP bandwagon. It was paradise lost for the BNP. Nonetheless, on August 8, 2018, following an intense three-hour discussion in Quetta, the BNP affirmed support for the PTI through a six-point memorandum of understanding (MoU) signed by the party’s president and former chief minister, Sardar Akhtar Mengal, and PTI’s Shah Mehmood Qureshi. Under the MoU, the BNP extended support for PTI candidates for the positions of the prime minister, the National Assembly speaker and the deputy speaker. As a quid pro quo, the PTI pledged to meet a series of BNP demands, ranging from the release of the Baloch missing persons to the repatriation of Afghan refugees from Balochistan. Balochistan Chief Minister Jam Kamal Alyani (centre) with Balochistan Assembly Speaker Mir Abdul Quddus Bizenjo (right). The third major political upheaval was led by none other than voters of Balochistan who dumped all three parties from the former ruling coalition: the PML-N, the National Party (NP) and the Pashtunkhwa Milli Awami Party (PkMAP). Voters particularly rebuked the NP and the PkMAP for playing the nationalism card to muster votes and then, after coming into power, using it as a pretext to indulge in and justify corruption and nepotism. In other words, voters said: if we can vote you in, we can vote you out as well. Hence, the PML-N and PkMAP, which had won 12 and 14 out of the total 65 seats in the previous Balochistan Assembly, ended up winning only one seat each in 2018. 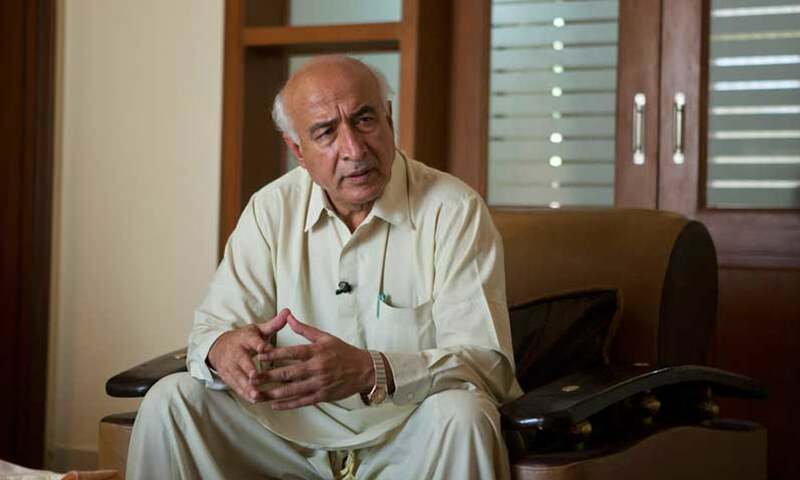 The NP, whose leader Dr Malik Baloch was elected as the province’s first chief minister from the middle-class in 2013, had won 11 seats in those elections, but failed to win a single seat in the 2018 polls. The dramatic outcome created a complicated situation for Balochistan. The province looked to PTI and BAP to resolve its outstanding issues. It was the first time that both these parties were heading the federal and the provincial governments respectively. Stakeholders in the province seem to be running out of patience concerning PTI’s ability to break the political impasse and negotiate with armed Baloch groups. I asked Dr Malik Baloch what should happen to achieve reconciliation in Balochistan. He said it was solely the prerogative of the establishment if it wants to allow dialogue between the government and the Baloch insurgents. Unlike previous governments, the PTI and BAP have either stepped back from earlier promises to reach out to the Baloch insurgents or decided only to negotiate with groups that do not champion secessionist ambitions. The BAP, on the other hand, did not even acknowledge the existence of the Baloch insurgency in its 2018 election manifesto, nor did it indicate any plans to reconcile with the disillusioned Baloch nationalists. Babar Yousafzai, PTI’s provincial spokesperson, does not see a retreat from the party’s earlier commitment to reconciliation. He cites support from the BNP for PTI at the federal level as evidence that moderate Baloch nationalists who respect the Constitution fully support the PTI. “The state will talk only with those who will recognise the Constitution, and the writ of the government. In recent months, several insurgents have surrendered, accepted the rule of law. In return, the state has offered them amnesty,” he said in an interview with me. Statistics on violence in Balochistan portray a different and a bleak picture. For example, in its Pakistan Security Report 2018, the Pak Institute for Peace Studies (Pips), an Islamabad-based think-tank, reported a 29 per cent decline in terrorist attacks in Pakistan, but Balochistan remained the country’s most-affected province in terms of terrorism-related casualties. According to the report, at least 354 people were killed in Balochistan — over 59pc of the total 595 people killed in terrorist attacks across Pakistan — and 589 others were injured in 115 reported attacks from there. However, it is important not to overlook two other vital factors if one is to avoid jumping to simplistic conclusions about the state of law and order in Balochistan. First, groups like Pips compile their data based on reports in the media. In 2017 and 2018, newspapers in Balochistan came under severe pressure from the security establishment not to report ‘negative stories’ containing the activities of the armed groups. The government believed that publishing the actions of these organisations demoralises the security personnel fighting to restore peace in Balochistan, stir panic among the public and further glorify insurgent activities. Hence, newspapers began to censor stories about the activities of armed Baloch groups. In reaction, the Baloch Liberation Front (BLF), a group active mostly in the Makran region under the leadership of Dr Allah Nazar, announced a boycott of the news media. That said, the BLF forcefully asked cable operators to stop airing Pakistani news channels and also forced newspaper distributors to stop delivering newspapers in Baloch-majority parts of the province. A BLF-led boycott of the media started on October 24, 2017, and lasted until January 20, 2018. During this time, several press clubs also remained closed. Persistent tensions between security forces and Baloch militant groups have made it almost impossible to independently and consistently report all violent incidents. Obviously, the fact that they are not reported in the media does not mean violent attacks have stopped occurring. Second, almost all Baloch armed groups are undergoing transformation, caused by a change in traditional leadership and urbanisation of their operations from small towns to cities outside Balochistan, as witnessed by the attack on the Chinese consulate in Karachi, which was claimed by the Baloch Liberation Army (BLA). The leadership of these Baloch armed groups is shifting from the old traditional commanders to more educated and trained young operatives. One critical issue that has continuously fuelled anti-Islamabad sentiments and generated support for Baloch nationalist and insurgent groups has been the longstanding problem of missing persons. Despite repeated interventions by the Supreme Court in the past, frequent calls by human rights organisations and incessant protests and long marches by rights activists and families of disappeared people, no one has been able to persuade those blamed for the recurrent cases of enforced disappearances to give up this counterproductive policy and practice. All efforts, including the formation of several official committees, have failed to resurface the missing persons so that armed groups and the Baloch nationalists do not manipulate this issue for their own political gains and public sympathies. Years before becoming the prime minister, PTI chairman Imran Khan visited the protest camp of the missing persons outside the National Press Club in Islamabad in April 2012. 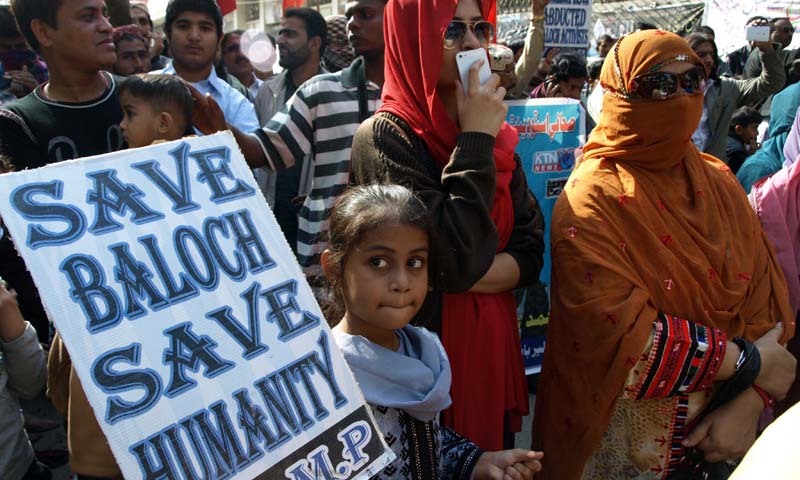 After years of failure and inaction, there is finally a slight breakthrough in Balochistan as some of the missing persons have actually begun resurfacing since the beginning of the year 2019. 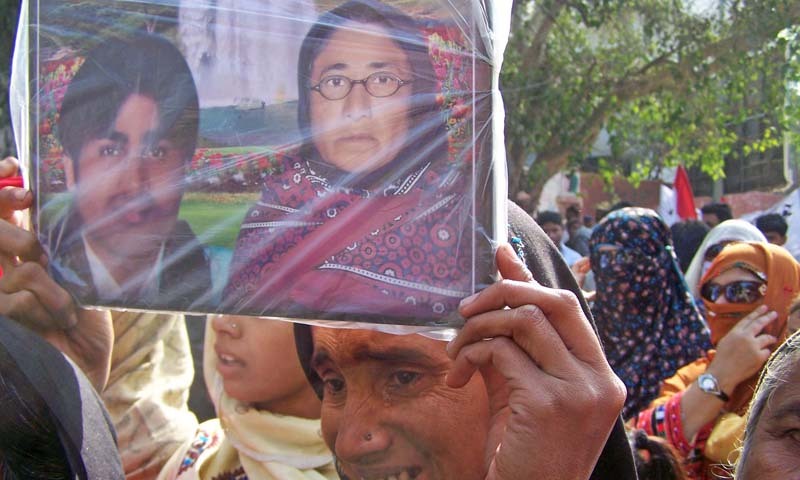 Dozens have returned home who were once on the list of the Voice of Baloch Missing Persons (VBMP), a Quetta-based organisation comprised of family members and relatives of the missing persons. The organisation has campaigned on this issue for more than a decade. Some of the people who have returned had been missing for as many as eight or nine years. On their release, these victims of forced disappearance do not speak to the media. When the BAP came into power, it approached the VBMP representatives and said it was serious in resolving the issue without going public about its intentions because premature announcements might raise public expectations and cause enormous embarrassment if the provincial government fails to make progress on this front. The Balochistan government and leaders of the VBMP met at least four times. They exchanged details about the missing persons and discussed suggestions and strategies that could help in bringing back the missing persons. In these meetings, VBMP leaders categorically told the newly-elected government that they were unwilling to go through the longer route of filling out more forms and appearing in front of a new commission or a joint investigation committee because they viewed this as a delaying tactic from the government’s side. They had already gone through this monotonous process several times in the past under different governments. A change appeared when Jam Kamal, the chief minister, on December 26, 2018, replaced Home Minister Mir Saleem Ahmed Khosa with Ziaullah Langove. Days after his appointment as the new home minister, Langove visitedthe camp of the missing persons in Quetta and pledged to bring back the disappeared persons within three months. Meanwhile, Chief Minister Kamal, who was also under continued pressure in Quetta from relatives of the missing persons to do something about the issue, met with Prime Minister Imran Khan and the army chief, General Qamar Javed Bajwa, to seek their help. In a press conference in Quetta on January 16, 2019, Kamal did confirmhaving spoken to the prime minister and reminding him of his election campaign promise on the recovery of the missing persons. He mentioned that he was talking to all “stakeholders” in what seemed to be a reference to the army and security officials. On the same day, the VBMP announced it was closing down its protest camp for the first time in a decade after meeting with Kamal who had also requested them to give him a few months to address the matter. Since taking office, Kamal has made a name for himself as an approachable chief minister. He actively uses Twitter to communicate with the public, the media and local activists as he readily answers public inquiries and gives the impression that his government believes in public services, accountability and transparency. In a province where most chief ministers are tribal chiefs and have historically remained inaccessible and unapproachable, Kamal is breaking away from those traditions and redefining the voter-leader relationship. His presence on social media has also made it impossible for him to remain silent in the face of hundreds of questions and messages received everyday about the missing persons and what his government has done to recover them. “Like other political parties, we could also hold photo sessions or make false claims and promises on the recovery of the missing persons as soon as we came in power. But, we chose to behave seriously and responsibly because we are the government and we have to act like the government and not like a political party. It is a complex issue and we need more time to fix it fully,” Kamal said in a press conference in January. With the return of some of the missing persons, Nasrullah Baloch of the VBMP sees some light at the end of the tunnel. Nasrullah says the PTI’s central leadership has not contacted them directly since coming into power, but their provincial leadership has kept in touch. He is ecstatic over the recommendation by the Senate’s Functional Committee on Human Rights urging the Ministry of Human Rights to draft a bill that will criminalise enforced disappearances in Pakistan and make it a punishable offence. “If this bill is passed, it will prove that the PTI government is committed to resolving the issue of enforced disappearances,” he said, adding that the VBMP has three critical recommendations for the federal government if it wishes to permanently resolve the issue of the missing persons in a dignified manner. First, when a person is picked up, their family members should be informed about the charges against them, and they should also disclose the name of the agency that is holding the accused person in custody. Second, people who have already gone missing should be recovered and presented in court to face a legal trial. Third, if any missing person has already been killed in custody, their family members should be informed so that they no longer wait for their return. The return of some of the missing persons has already triggered an obnoxious war between supporters of the PTI, BAP and BNP as to who should actually be credited for this success. Nasrullah Baloch does not shy away from giving credit to Chief Minister Jam Kamal and BNP's president, Sardar Akhtar Mengal, for their active role in addressing this issue. However, he insists that actual credit goes to the families of the missing persons, especially women, children and the elderly, who have remained attached with the VBMP struggle for a decade in their quest for justice. Throughout these years, he reminded, they had been threatened, intimidated and harassed. Even security agencies, he alleged, warned the media not to report about their protest camp while leaders and activists of different political parties were told not to visit the missing persons’ camp. He also commends Kamal for fulfilling his promise to highlight the issue in Islamabad, where he was given the green signal to could go back to Balochistan and tell the media that the state institutions were serious about addressing the issue of the missing persons. Political parties in Balochistan entered the election race in July 2018 branding Islamabad as the real enemy. Today, they still do not show any remorse for doing so. 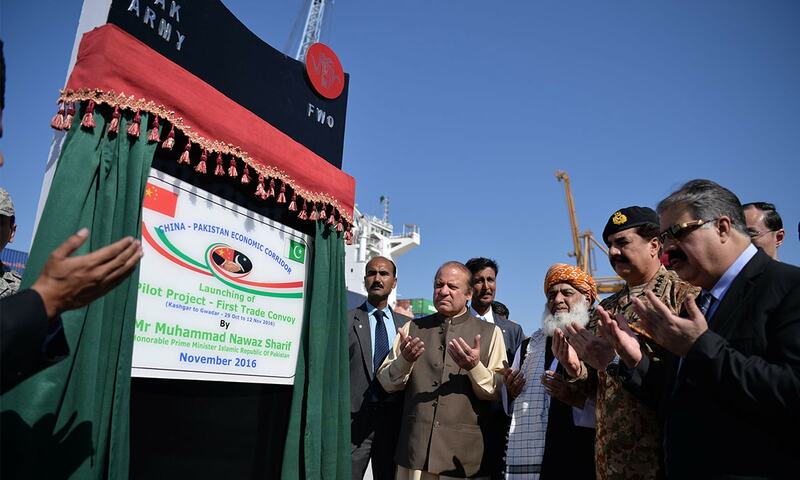 Differences at the local level aside, political parties in the coalition government, as well as the opposition, have been deepening their criticism of the China-Pakistan Economic Corridor (CPEC) and Balochistan’s inadequate share in the multi-billion dollar project. The Baloch armed groups have initiated a series of extreme violent attacks on the Chinese, ranging from the BLA-sponsored attack on a bus carrying Chinese engineers in August 2018 in Dalbandin — which injured five people and occurred 210 miles away from Quetta — to the shocking attack on the Chinese consulate in Karachi. Political parties have also not been pleased with Islamabad’s handling of Balochistan’s concerns and demands on CPEC. Cognisant of Balochistan’s increasing sense of dissatisfaction about CPEC, Imran Khan, in his first official visitto Quetta as prime minister in October 2018, said the province would be paid more than its due share in CPEC projects. That seemed like a mere promise. It still awaits fulfillment. “The PTI leadership lacks a clear strategy and framework to address Balochistan’s political and developmental issues. We, as allies and coalition partners, have tried many times to make them understand and develop a political strategy and action plan,” said Sanaullah Baloch, a former senator and a vocal opposition member from the BNP in the Balochistan Assembly, in an interview with me. Sanaullah says PTI has been “disappointingly slow” in the implementation of BNP’s six-point agenda it accepted in return for the latter's support. As things stand, a disillusioned Sanaullah warns that his party might review its support for the PTI once its leaders sit down to evaluate the Centre’s one-year performance and fulfillment of the promises it had made to the people of Balochistan. On December 21, 2018, the Balochistan Assembly passed a resolution tabled by Sanaullah demanding a higher share for the province in CPEC. Chief Minister Jam Kamal did not confront or dispute the contents of the resolution presented by Nawab Aslam Raisani, a former chief minister under the PPP government, who had called for more transparency and inclusion of Balochistan in the decision-making process on CPEC projects. “Balochistan’s current share under CPEC is only 4.5pc. If we don’t include Gwadar Port and Hubco projects, then Balochistan’s share in CPEC is reduced to a meagre 1pc,” the chief minister said on the floor of the Balochistan Assembly in December. Kachkol Ali Baloch, a former leader of the opposition in the Balochistan Assembly, describes CPEC as a “destructive and exploitative mega project” where, he alleges, China has applied its sharp power doctrine and debt-trap diplomacy to take over the Gwadar port with a mysterious agreement. He points out that security forces have begun to restrict local fishermen from going to the sea for fishing. Citing the International Covenant on Economic, Social and Cultural Rights, Kachkol Baloch says without the consent of the indigenous peoples of Balochistan, development under CPEC will be a violation of international standards. 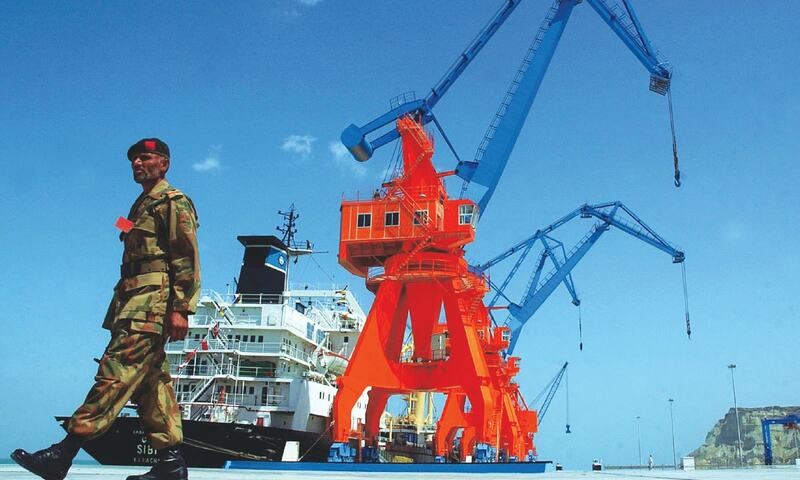 Even Mohammad Aslam Bhootani, Gwadar’s elected representative in the National Assembly, is skeptical about CPEC’s positive impact on Balochistan in general and Gwadar in particular. He points out that the PTI has little control over Balochistan since the military calls the shots on matters pertaining to the province, which it treats as a high-security zone. Taking a break from the CPEC hype and the surrounding media blitz, Bhootani told me he wants everyone to look at Gwadar with a realistic lens as he reminds that his electoral constituency lacks fundamental amenities of life such as electricity, water and security. “People of Gwadar are agitating because their ancestral lands are being taken away forcibly for the proposed refineries by Saudi Arabia and the UAE,” complains Bhootani, who once served as the Speaker of the Balochistan Assembly. He seeks to draw attention to the dark side of the robust Saudi investment that was widely advertised during the recent visit of the Saudi Crown Prince Mohammad Bin Salman to Pakistan. The Gwadar MNA mocks Islamabad for using Balochistan-based projects, such as Gwadar and Reko Diq, as a pretext to seek billions of dollars from Gulf countries to get bailout packages. Nevertheless, amid all the gloom, BAP’s Senator Anwaar Kakar says his party is “quite satisfied” with PTI as it is paying proper attention to the province in terms of development. “In the past, everyone imposed a chief minister on Balochistan from the Centre. But this time, they respected the mandate in the province and allowed the BAP to lead,” he said in an interview with me. Voters and political parties in Balochistan have remained patient in the first eight months of the PTI-led government as they have awaited relief with great anticipation. However, rising socio-economic measures, political accommodation and relief will be needed to keep the province satisfied and avoid any disruption of the current flow of support the PTI enjoys from various stakeholders in the province. The next four months will be critical if the BAP is rocked by infighting, or if BNP decides to withdraw its support for the PTI in Islamabad to protest unfulfilled promises. That does not seem utterly improbable. A shift on such a large scale can completely change the political arena in the province and potentially disrupt whatever progress the PTI believes it has made thus far — or plans to make in the future.